Still have someone on your list you just can't figure out what to get? Do they by chance like to color? If so then you should get them a gift card so they can create their own personalized coloring books! 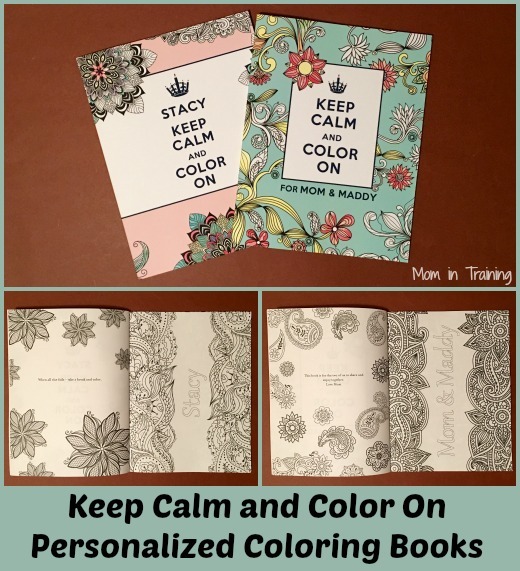 I've really gotten into the adult coloring books myself and was really excited when my set of personalized books arrived. I created personal quotes for the first page inside each book, and had my name (as well as my daughters) on the front of the books. It's really a neat feature being able to have your name on the book as well as on some of the pages inside that you get to customize and color. Each paper back book is 64 pages and is 8-1/2" x 11" in size. I love that they aren't super thick or over-sized because it makes them very portable. I like to toss a book and a small package of colored pencils in my bag when we are doing errands and I know I'll be in the car for a bit waiting on my husband or kids. Coloring is such a relaxing hobby! This would be a great gift for friends.